Ever heard the term SAAS? Well, it’s not just another computer jargon. 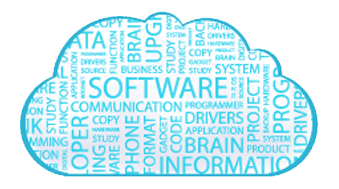 SAAS simply means software-as-a-service, and this is sincerely just another reliable and formidable solution to your software requirements. SAAS is strictly an online delivery application and that makes it to so flexible as to always be absolutely up-to-date. And what does that mean? A readily available front-and-back efficiency that is incomparable to the orthodox per-seat licensing models. Having such reliable software provision platform provided by the experienced Chromium IT Solutions will definitely bring success at your very door step. Unlike other IT companies, Chromium IT Solutions offer a wide range of extremely customizable SAAS applications, aimed at skyrocketing your business career to the highest possible level. Now looking at the structure, features and functionality of this unique technology called SAAS, you’ll definitely be convinced that SAAS has proved its capability to foster loyalty and increased income flow for its numerous users. This capability is further facilitated by its ability to distinguish commoditized online services like travel and tourism. Having such outstanding software at your possession will surely give you the exact features you required in the overall running of you e-business venture. Happily, Chromium IT Solutions offers you unique SAAS Applications that gives you just that. At Chromium IT Solutions, customers’ ultimate satisfaction remains our main priority. To achieve this, Chromium IT Solutions provides a wide range of highly customizable but unique and powerful SAAS Solutions. To achieve this, we employed a multidisciplinary approach in our research and development. The overall result is the emergence of a SAAS application capable of sky-rocketing your enterprise to the next higher level, at a relatively very low cost. Our exceptionally multidisciplinary approach embroiders versatility and the outcome is an end product with greater functionality.